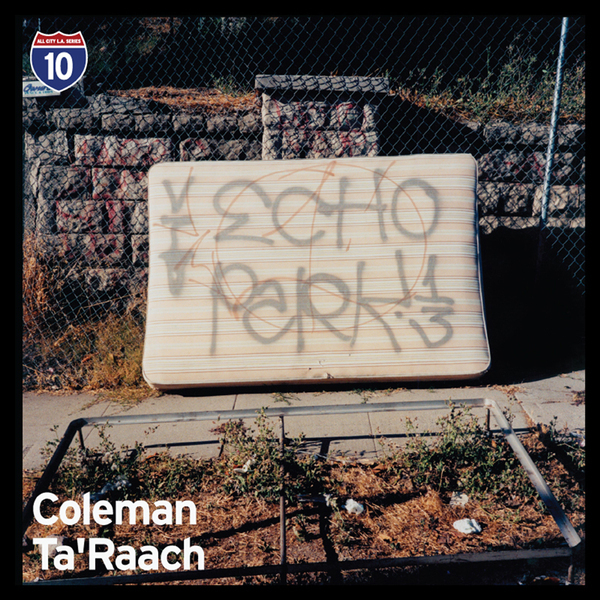 The penultimate chapter in All City's LA series introduces us to the esoteric soul beats of Coleman and Ta'Raach. Mochilla label owner and multi-talented photographer/DJ/producer bloke Coleman drops a highly impressive suite of four sumptuous neo-soul/HipHop, from the slumpy bob of 'Earthquake' and the boogie bump of 'Black Bush' featuring supple bass from Steven "Thundercat" Bruner and lush keys from Cedric "i_Ced" Norah, to the abstract beatless vortex of 'Travels (For My Mother)' and dizzy soul on 'Write Thing' featuring Fatima. On the flip, Poo-Bah contributor T'Raach brings the drums over six craftier, more experimental productions, highlighted on 'A BC Date', whereas 'Xxxplain in F Minor' is a stranger, near beatless piece of baroque bossa bass with an organ motif and atmosphere reminding of RZA's 'Ghost Dog' soundtrack.